I managed to leave my couch for a short time today in order to pick up a package at the post office. After reading two different blogs the other week, I found myself ordering these books as they sounded inspirational and something that I might benefit from reading. 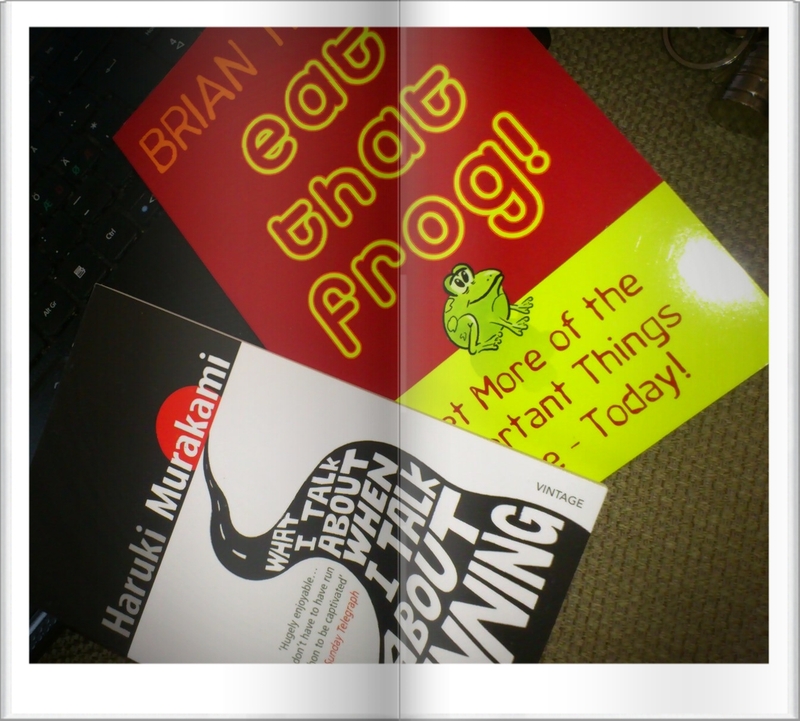 One of them, ‘Eat that frog!’ by Brian Tracy is on my favourite subject of procrastination. Thus it’s a bit funny that I managed to spend a whole Saturday on thinking on going to fetch them and then never got around to it. The second book is ‘What I talk about when I talk about running’ by Haruki Murakami, yes it is about running however I understand that the bottom line of it is about inspiration and how to get about doing what it is that you want to do. I will read them both, and knowing me correctly I will share the parts that I like, if any, with you guys. Fresh herbs are always nice, I find them a bit hard to keep alive though – something about having to give them water pretty much every day. 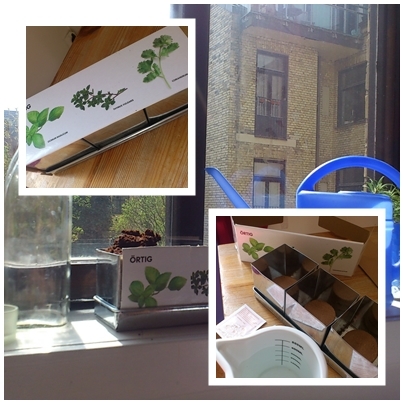 Anyhow, a while back now (I remember snow) me and Mr Grumpy Jr (aka Mr 100) went to IKEA and I found a set of three herbs that are easy to plant. I know that planting isn’t that complicated since I do it on a regular basis, every time the old ones die, the packaging was pretty cool this time around. Money well wasted. Lets see if I can keep them alive this time around. It is Saturday and day two of my new life living as a student. I realize now that a lot of the food I have at home might not be what a student would have, I will still have to eat it as it is here, as well as trying to give a fair price as to what I paid for it. Since I’m not one of those people who save all her receipts, prices of food are estimations only. Both Saturdays and Sundays are good for Brunch, this is a small one since I wasn’t super hungry this morning. 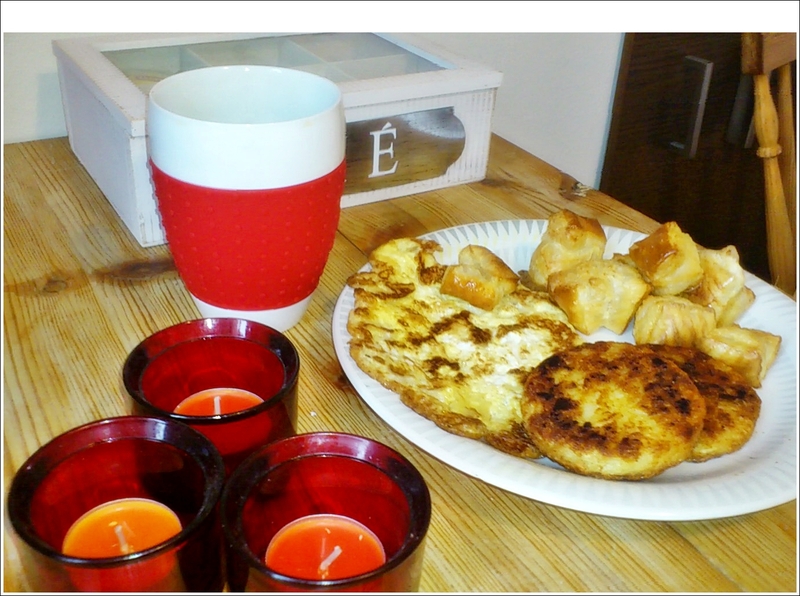 I once again made my yummy bites, which are small pieces of ready bought pastry (½ sheet) dough dipped in whipped egg. After 15 minutes in the oven they taste like croissants even if they don’t look like it (2,69sek). The left over egg (2,82sek) is fried in a pan as well as the hash browns (3,36sek for two), and with this a cup of coffee (1,48sek). Personally I find it a decent enough price. I realized now, that my regular Mozzarella and Tomato snack isn’t the cheapest one, especially the kind of tomato I purchase. 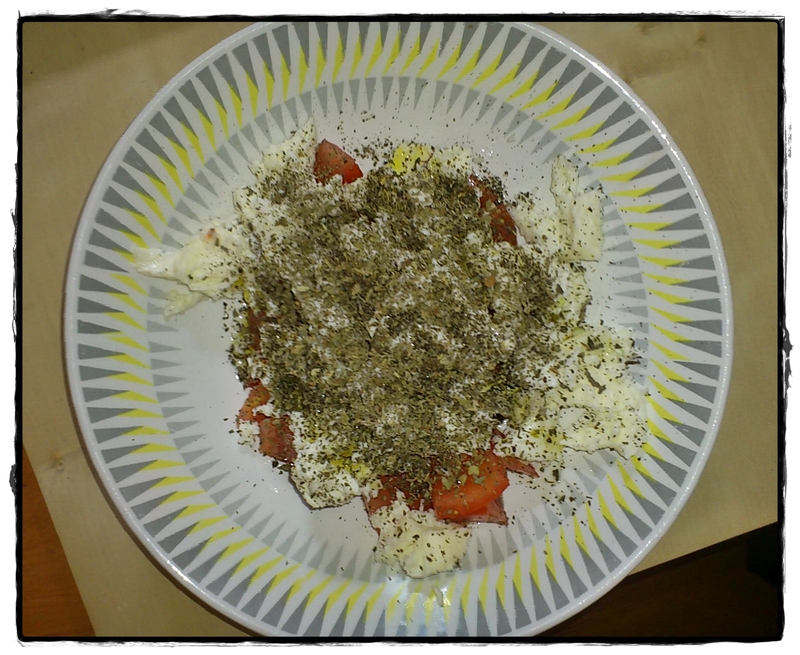 That is something that I have to remember moving forward, no more plum tomato as the prize per each adds up to 3,32sek. The mozzarella I buy is ICA’s own cheap brand and cost 7,90sek. Oh well, to late now I just have to eat what I got! 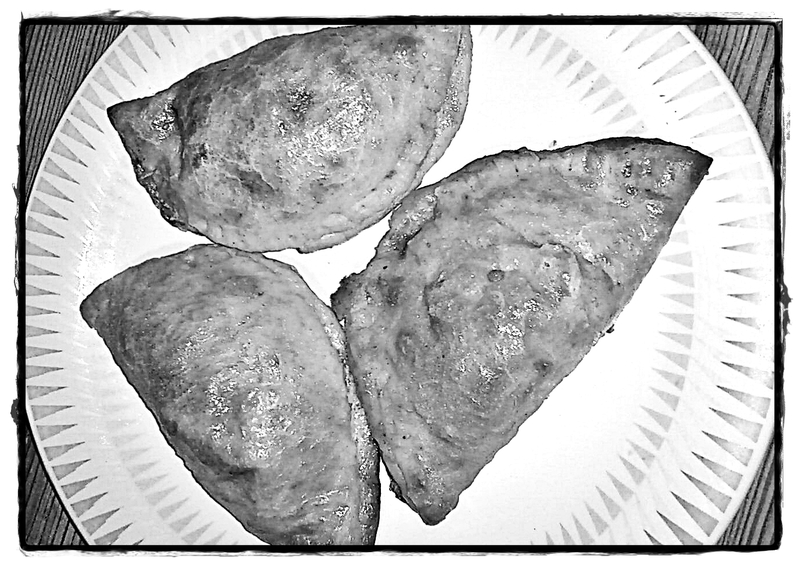 As I’m feeling a bit lazy today, I went through my freezer and found the rest from my last batch of pirogues, so re-heated those. Nothing fancy at all. Actually the calculation of the cost per pirouge took longer than the re-heating and eating them. As you know, alcohol is not included in the recommendations from the Swedish Consumer Agency, it’s not something that you need or have to have, thus one item on my budget is now in red. I will however as usual not take responsibility for this, why take responsibility for something that you can blame on someone else? I had a date tonight with my favourite teacher and one of my favourite friends, Da Teacher. She was in Sweden to visit other friends and we agreed that she would come over afterwards, I would provide the food and she the wine. When she showed up she was without wine and we decided to go for a drink. Thus it’s all her fault, it then also falls under her responsibilities to realize that since I live in the middle of the city the closest bars are not the cheapest ones. 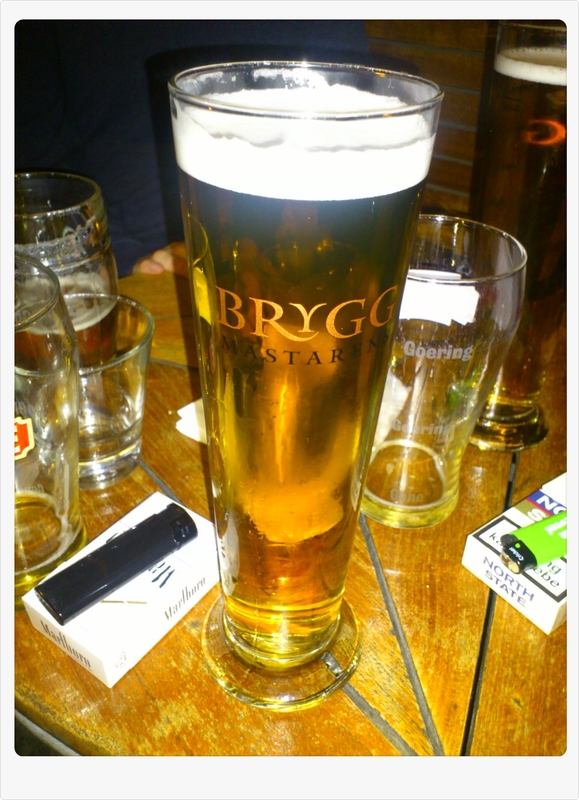 Another reason why I like spending time in Copenhagen rather than Malmö, you can find the cheap places all over town no matter where you are. So, as day three of my student budget begins, I’m starting to wonder how it will end. I want to end this post with pointing out again that alcohol is not something that you need or have to have so if that is what will break my budget…then maybe I should sit down and consider my alcohol habits and so should then the students, if that is the reason or them eating noodles in the end of each month! 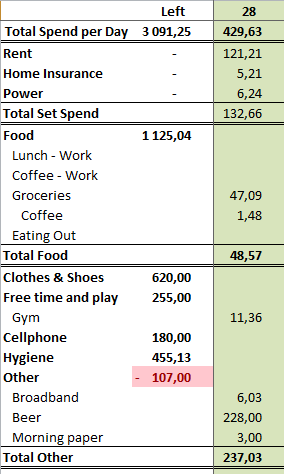 Here goes the not yet to depressing picture of money spent, still the whole budget isn’t blown, it’s just a matter of what you choose to spend your money on. For the first time in quite some time, I went for a run today. This past week of troubles sleeping and too much socializing have taken its toll, it was a though run.